For large corporations and organizations or websites with high level traffic, it can be difficult to find a hosting solution that meets your needs. Dedicated hosting is considered to be the best option for companies, organizations, and bloggers that meet these credentials. What Servers Are Used for Dedicated Hosting? As is customary in the web hosting industry, HostGator allows you to use either Linux or Windows servers. There are several differences between the two servers, with the most significant being that Linux servers allow you to easily access and alter code while it is much more difficult to do so with Windows servers. Another difference that generally favors Windows is the fact that Linux customer support is online community based while Windows has a dedicated team of support staff for assistance. It should be noted that HostGator pitches in with 24/7 customer support regardless of the server that you choose, although they will obviously not have the level of expertise that you will find with the actual maker of the servers. After deciding upon Linux or Windows servers, you have the option to choose between four different plans. These plans include Basic, Standard, Elite, and Pro. Prices for the plans are the same for both Linux and Windows. The Basic plan has a recurring price of $174/month, the Standard plan is $219/month, the Elite plan is $279/month, and the Pro plan is $374/month. It should be noted that the first month cost is significantly less than the recurring monthly price. You can also receive further discounts for committing to 24 or 36 month plans. What Are the Technical Specifications for Each Plan? Each plan includes an Intel Xeon Dual Core 2.3GHx processor. The processor for the Basic plan, however, only has four threads while the other three plans feature eight threads. The Basic plan also has 100 Mbps Uplink, 4GB of RAM, 500GB RAID-1 Drives, 10TB of bandwidth, and two dedicated IPs. The Standard plan comes with 250 Mbps Uplink, 4GB of RAM, 1,000GB RAID-1 Drives, 15TB bandwidth, and three dedicated IPs. For the Elite plan, you receive 500 Mbps Uplink, 8GB of RAM, 1,000GB RAID-1 Drives, 20TB of bandwidth, and four dedicated IPs. The most advanced package, the Pro plan, features 1 Gbps Uplink, 16GB of RAM, 1,000GB RAID-1 Drives, 25TB of bandwidth, and five dedicated IPs. You should be aware that the Windows servers are also WebMatrix ready. What Tools are Included with Dedicated Hosting Plans? WHMCS and cPanel are the two most significant and useful tools included with all of the dedicated hosting plans that HostGator offers. WHMCS is a web hosting automation platform that easily allows you to handle everything related to billing, client communication, and domain management. CPanel is the most popular control panel in the web hosting industry and is the go-to panel for a majority of web hosts due to its reliability and ease-of-use. Users also have the ability to set up Sitebuilder for their domains to make it easier to create a professional and visually appealing website. What Type of Network Does HostGator Have? 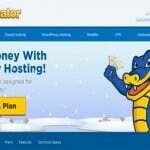 HostGator has made the creation of a state-of-the-art network one of their main priorities. Their network features multiple layers of security and is fully redundant with no single point of failure. They also utilize eco-friendly data centers in Houston, TX and Provo, UT that are equipped with backup power generators and high quality HVAC units. What Programming Languages and Modules are Supported? The programming languages supported by HostGator’s dedicated hosting services include CGI, PHP 5, Ruby, Perl, Fast CGI, SSI, and Python. As far as programming modules, CPAN, Curl, ImageMagick, and GD Library are all supported. How Many Website Transfers are Included With Each Plan? Users that go with the Standard, Elite, or Pro plans will receive 100 free manual website transfers that are required to be used within 30 days of signing up. The Basic plan only comes with 75 free manual website transfers, which also need to be used within 30 days of signup. cPanel transfers are unlimited, regardless of which level plan that you choose. What Type of Support is Included With Dedicated Hosting Plans? Unlike most other web hosts, HostGator does not advertise premium’ customer support for their dedicated host users. 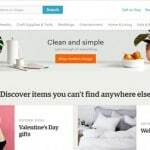 They do, however, offer 24/7/365 support to all of their hosting clients and, even if they do not advertise it, do seem to prioritize their higher paying clients. Phone, live chat, and ticket support are all included. One of the best parts of HostGator customer support is their online support portal. The portal features hundreds of tutorials and helpful articles where you can easily find solutions to whatever you are looking for. They also have a very active forum and online community where their hundreds of thousands of users discuss different issues that pop up. 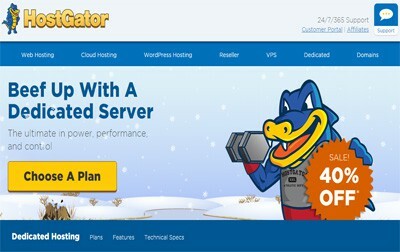 Overall, HostGator’s dedicated hosting plans are offered at a great value and are perfect for large organizations, corporations, and high traffic websites in need of dedicated servers for their websites. The incredible amount of technical features, combined with the high level customer support and promise of reliability and security, make them one of the best options on the market. Allows you to choose between Linux or Windows server with the same price plans. 24/7 Customer support regardless of the server that you choose. Free 4500 Website Templates. Not the cheapest.